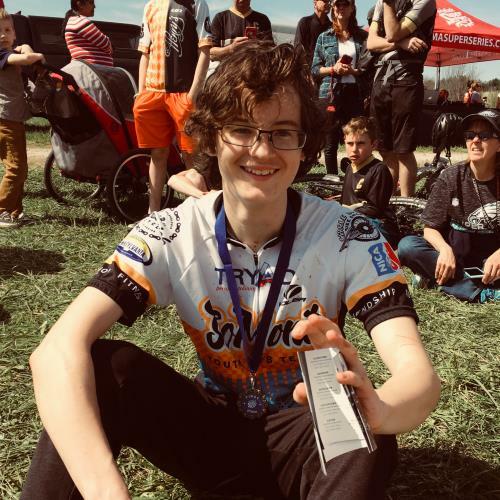 Greg D. - Guy's Racing donated $30.00 April 23, 2019 ... "Go Oskar! Very noble of you to help stop the senseless gun violence!" June Pezalla-Granlund donated $20.00 April 12, 2019 ... "I love you Oskar! Way to go." Gretchen Musicant donated $75.00 April 11, 2019 ... "I appreciate you sharing your story an agree that we need more proactive actions. " Bob Piacine donated $25.00 April 7, 2019 ... "Happy to support the effortQ"
Five days after the Sandy Hook Elementary School shooting, a staff member, anxious about what had happened, brought a gun to my elementary school. When it was discovered, the school was placed in a partial lockdown, and school continued more or less as usual. The one real stipulation of a partial lockdown is that no one is allowed in the hall., After school, while I was at robotics, I forgot about the lockdown, and went out into the hallway. I haven’t yet forgotten the genuine terror of being caught in the halls of my own school, to say nothing of the terror that comes with a real threat. I know too well the drills and procedures, that is why I ride. I ride because I know that a reactive solution can only do so much, and that a proactive solution will save lives. I ride, most of all, for the lives lost to the crisis of gun violence and the lives we can save by stopping it. The Vanderpools donated $50.00 April 6, 2019 ... "Strong work, Oskar! " Ken Rose donated $50.00 April 2, 2019 ... "Way to go Oskar! Thanks for doing this. " featherman donated $36.00 April 6, 2019 ... "Nice work!" The O’Halloran Family donated $20.00 April 5, 2019 ... "Thank you, Oskar! " Tess Harnick/ friend of Pascal donated $18.00 April 7, 2019 ... "Best of luck"
Christopher Tassava donated $10.00 April 2, 2019 ... "Go, Oskar, go!"